Every year, August 7 is a holiday in Colombia. This date celebrates a decisive patriot victory over Spanish and royalist forces during Colombia’s struggle for independence. What happened on August 7, 1819, and why is the battle of Boyacá significant for Colombia’s history? Read on for a history of the Battle of Boyacá and its impact on Colombia’s independence. Present day Colombia was part of the Spanish colony of New Granada, which also included most of present day Ecuador, Panama, and Venezuela. In 1810, New Granada began its first moves towards independence. The capital city, Sante Fe de Bogotá, declared the colony autonomous on July 20, 1810, and the city of Cartagena declared itself a fully independent and sovereign state on November 11, 1811. Many people were also still loyal to the Spanish crown. The Caribbean coast north of Cartagena as well as the area around Pasto near the border with Ecuador remained in royalist hands. The internecine conflict between regional elites also likely left many hoping that a return of Spanish rule would restore peace and order. The failure to unify helped lead to the reconquest of practically all of New Granada by the Spanish general Pablo Morillo by mid-1816. The reimposition of Spanish authority came with consequences for those that had supported independence. Many were executed, imprisoned, or sent into exile. Others had their lands seized. These brutalities helped harden patriot desires for independence and guerilla forces continued to fight against the Spanish and royalist forces. Particularly in the llanos, the lowland plains of Eastern Colombia and Western Venezuela, guerilla forces remained active. The geography played to their advantage, as the area flooded for half the year and horses from the highlands struggled to eat the grass that grew there. Statue of Simón Bolivar, the independence leader who led the campaign that led to the Battle of Boyacá. 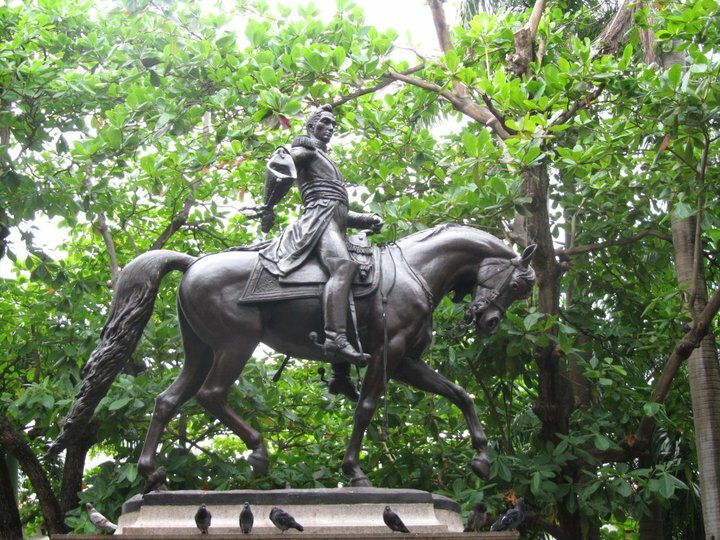 Independence leader Simón Bolívar had been leading guerilla resistance himself from the area around the Orinoco River in southern Venezuela since 1817. Realizing that the Spanish and royalist forces would be difficult to defeat entrenched in the well defended cities of the coast, Simón Bolívar hatched a daring plan to strike at the heart of New Granada. Bolívar marched his forces across the llanos of southern Venezuela and Eastern Colombia and up into the mountain highlands of the foothills of the Andes. His plan was to try to catch the Spanish unaware and take the lightly defended capital of Bogotá. What made his plan even more daring was the decision to begin his march at the start of the rainy season in May, crossing the plains while they were flooded. The floods made the going tough but helped hide his movements from the Spanish. After crossing through the humid, flooded plains, Bolívar’s forces then marched up into the cold of the mountains. They were ill equipped for the cold and many fell ill and died. However, he succeeded in crossing the mountains at the Parámo de Pisba pass by July 5. 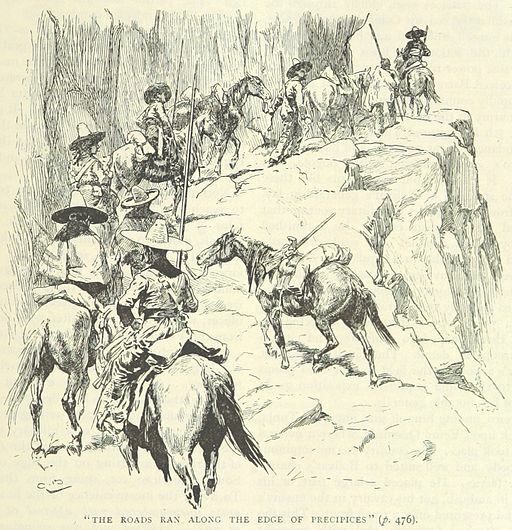 A sketch of Bolívar’s troops crossing the mountains. Bolívar quickly restocked his forces and supplies from the local population and laid his eyes on Bogotá. The Spanish were also now aware of his presence and began sending forces to reinforce the city’s defenses. Bolívar intercepted a Spanish force at the Battle of Vargas Swamp on July 25, and then took the city of Tunja on August 5. The Spanish and royalist forces now hurried to block Bolívar’s way to Bogotá. Their fastest route to the city was to cross the bridge of Boyacá. It was at this bridge that Bolívar’s forces intercepted them, leading to the Battle of Boyacá. On the approach to the bridge, Bolívar’s forces succeeded in dividing and surrounding the bulk of the Spanish and royalist forces. After several hours of fighting, the majority of the royalist forces (1,600 of just under 2,700) surrendered to Bolívar. With the collapse of the royalist army, the path to Bogotá was now open. After the battle, the Spanish viceroy fled Bogotá for the coastal stronghold of Cartagena. Three days after the Battle of Boyacá, on August 10, 1819, Bolívar’s forces entered Bogotá unopposed. In his haste, the viceroy had even left behind the majority of the funds from the treasury. With Bogotá as a base, Bolívar and the patriot forces could now go about liberating the rest of New Granada. 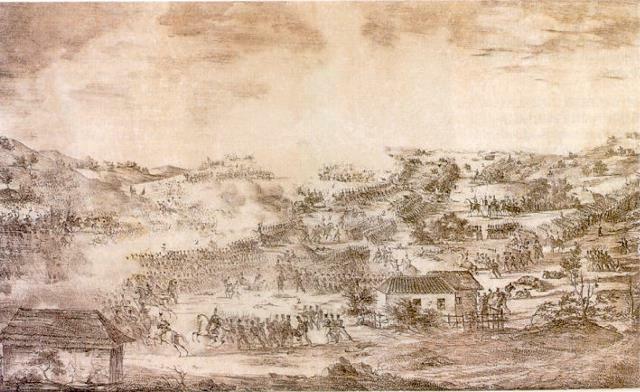 A rendering of the Battle of Boyacá. 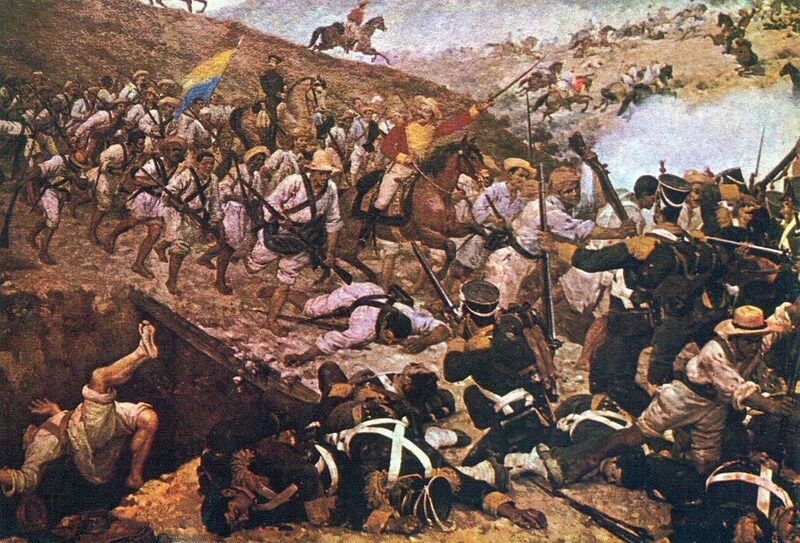 The Battle of Boyacá is considered the most important victory in the independence of Colombia. While Pasto remained a royalist stronghold for years, and Cartagena and the Caribbean coast would stay in royalist hands until 1821, most of present day Colombia was now under de facto patriot control. Bolívar also was able to use Bogotá as a base to help liberate Venezuela, Ecuador, Peru, and Bolívia. Therefore, the Battle of Boyacá was a decisive moment in the independence of Colombia and all of northern South America. However, Bolívar’s march through the flooded plains up and over the cold mountains is also considered a brilliant military campaign. It is often compared to Napoleon’s march over the Alps. 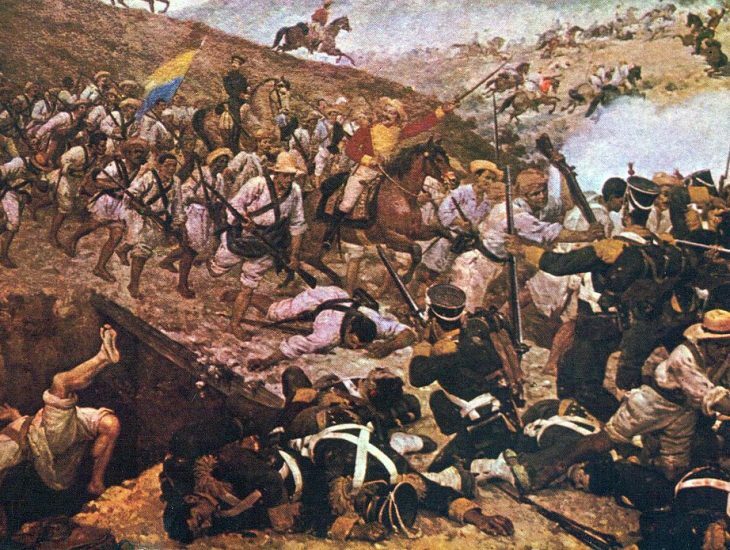 Today, August 7 is a holiday in all of Colombia to celebrate the decisive victory at the Battle of Boyacá. Also, it is the inauguration day for the president every 4 years. Interested in learning more about the history of the Battle of Boyacá and Colombia? Learn about Cartagena’s role in Cartagena’s history by reading this primer on the history of Cartagena or this longer, more detailed, comprehensive history of Cartagena. Check out this great map of Bolívar’s march from Venezuela to Bogotá along with maps of the maneuvers before and during the battle. Check out this article on the battle from Colombia’s official website. 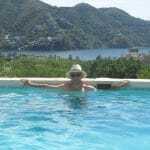 This entry was posted in Learn About Colombia. Bookmark the permalink.